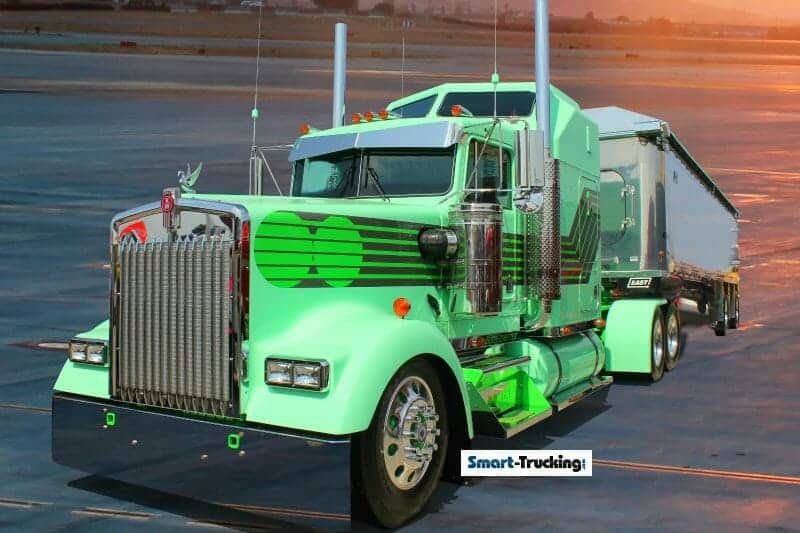 Dressed up custom semi trucks are eye candy. Seeing a tricked out rig strollin’ down the highway, in all it’s splendor and glory, is an awesome sight to see. Polished, sparkling chrome, a custom paint job, tall, gleaming big stacks, large chrome bumpers, low visors. These are just a few of the marks of a cool custom truck. 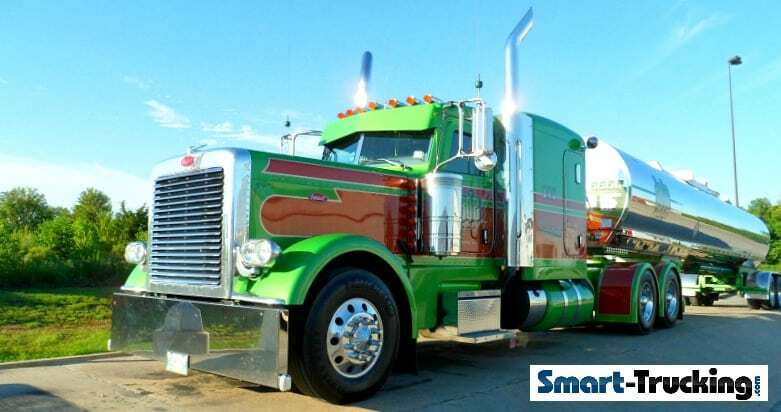 At Smart Trucking, we especially love those trucks with that awesome ‘old school’ look. We like our trucks low and the hoods long. 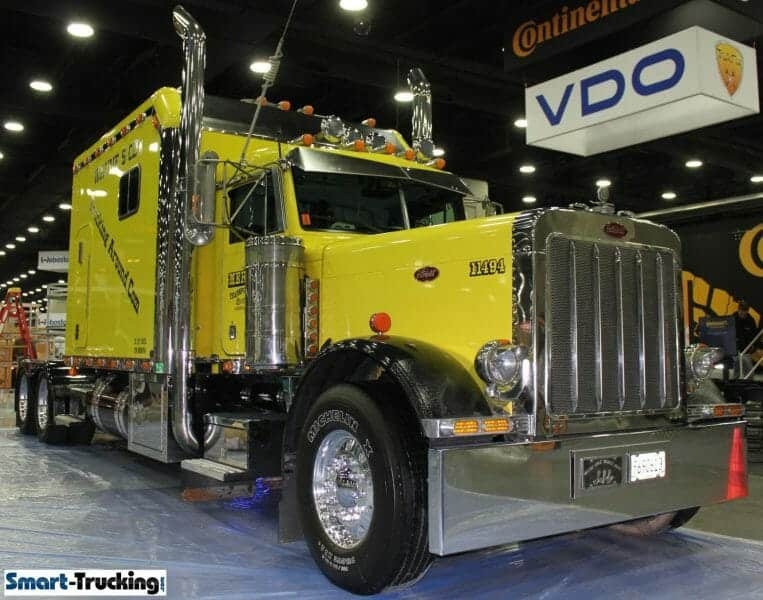 As we travel around to the truck shows and show and shines, we’re amazed at the number of these high dollar custom show trucks out there, that are strictly built for show. For the most part, truck owners today don’t generate enough revenue to support extensive customization. Profit margins are just too tight. 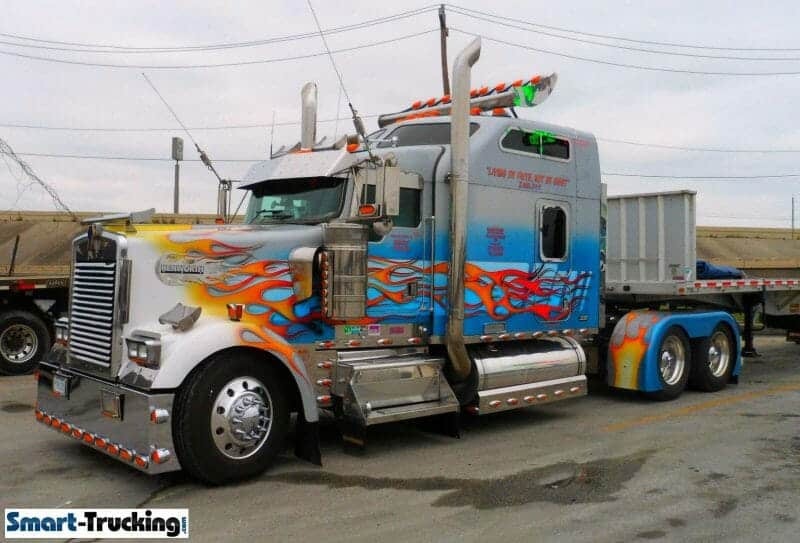 The select truckers that do custom their rides, often have a pretty sweet deal and are making good money in trucking, although some dig into their personal savings to customize. However, it doesn’t always take lots of bucks, to bring together a really great look. Some well chosen modifications and alterations within a budget, can really make a difference to the overall look. A little customization can really make a rig stand out from the others. Sometimes, it’s just as simple as adding a stainless sun visor or some extra lights. Others, go for the gusto and do a radical rebuild and build the ‘large car of their dreams’! Some owner operators with custom semi trucks put their rigs to work so they need to maintain the practicality and dependability. The majority of customization nowadays is done by fleet owners. They use these ‘dream trucks’ as recruiting tools at various and truck events. 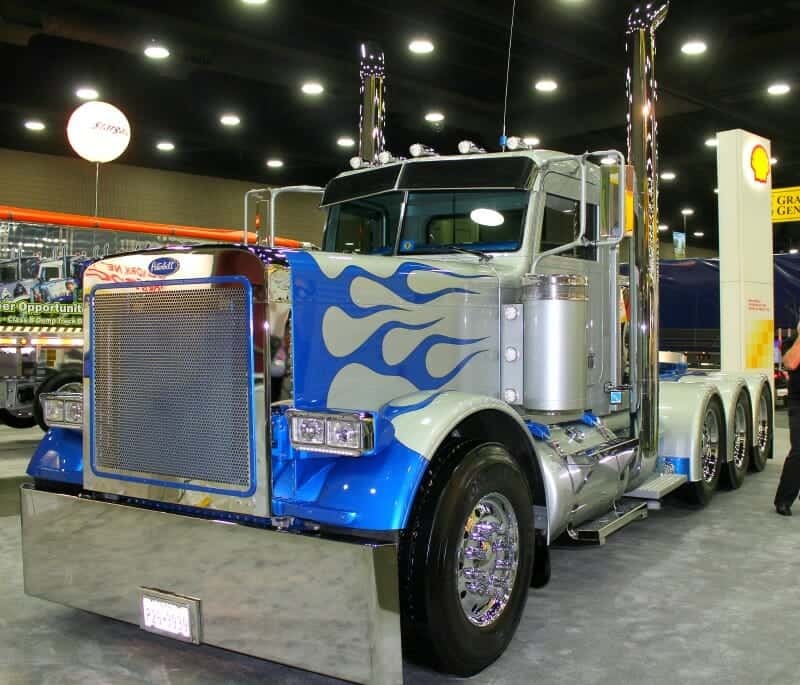 Some of the custom semi trucks are sponsored and financed by chrome shops and body shops. These trucks are designed with the purpose in mind, to attract business to the sponsors. 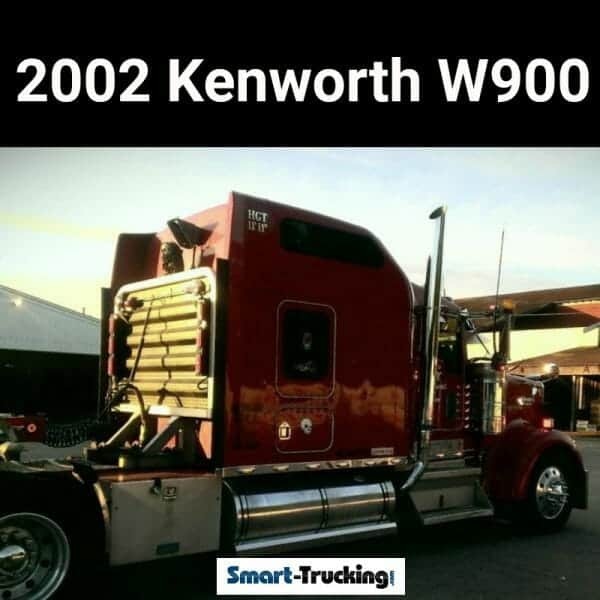 Kenworth and Peterbilt have recognized the popular customization trend and the parts are available through their dealer networks…. a great perk. Custom Petes and Kenworths can still be functional working trucks as well as show rigs. Related > Long Live the Long Hood Trucks! It’s ALL About the Look Baby! Custom big trucks are not about practicality or functionality. Truckers customize their semis to get THE LOOK. ALL about the look. Long, low and cool. Big truck owners who customize their rigs, take tremendous pride in their ride and are proud to be part of the trucking industry. They are truly ambassadors for an industry that too frequently suffers from much undeserved criticism. It’s an interesting fact that originally, the customization of these rigs was intended to improve the design of the vehicle. It was only later on, that the custom truck process grew into a high dollar industry and the ever-popular show circuit as we know it today. In spite of the weak economy, there are still lots and lots of some awesome, custom rigs out there, with lots of bucks into them. Long. Lean. Low. Cool. It’s ALL ABOUT THE LOOK, BABY! 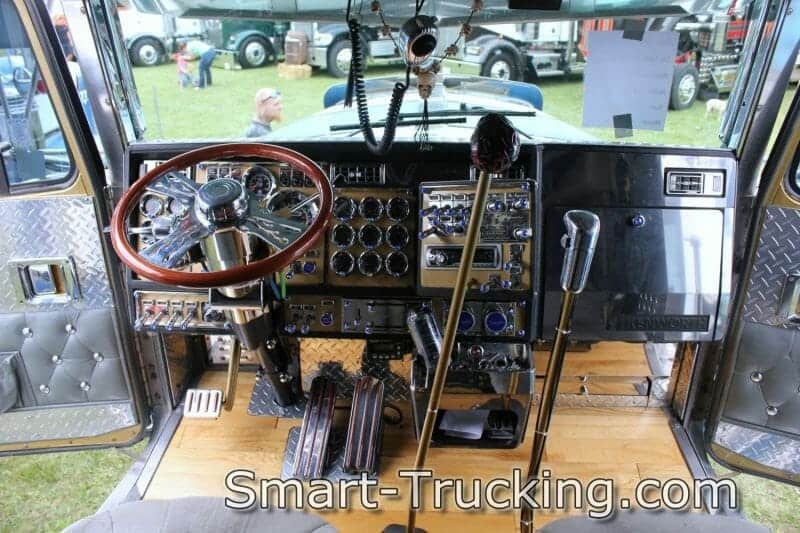 Each of the links below will take you to more custom big rig trucks galleries.